HomeMeasurementMeasurement, or, how to know your online efforts are succeeding. Measurement, or, how to know your online efforts are succeeding. What is the most important thing you can do as a web/social media practitioner? 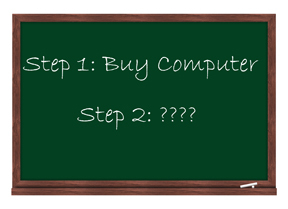 The answer, of course, is to buy a computer. After obtaining said computer, the next most important this is to set some clearly measurable goals. You’ll find that a lot of people, including bosses and decision makers, base their opinion on the success or failure of a project on personal bias. If you don’t have a set of analytics to judge success or failure, your work – and possibly your job – are at the whim of the big wigs’ personal biases and perceptions. If you can show hard evidence that your implemented ideas have made noticeable jumps in your chosen web stats, you will greatly increase your own value and influence. What stats are important and how do you measure them? I’ll tell you my thoughts about it, starting with my next post.